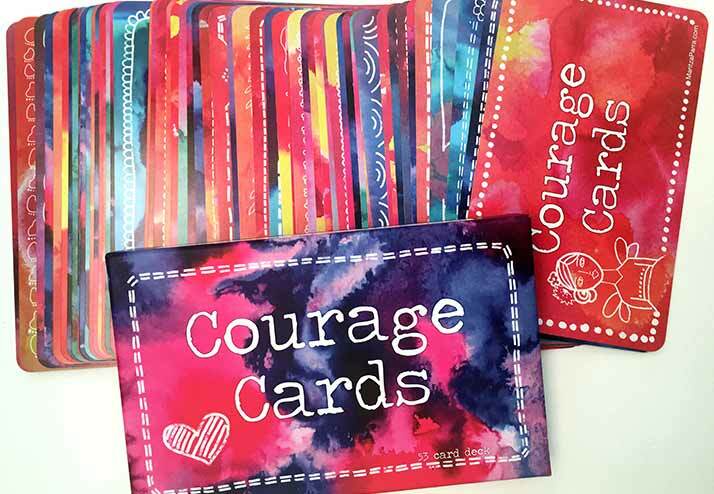 Beautiful Courage Card Decks are now available! I’m excited to share them with you! 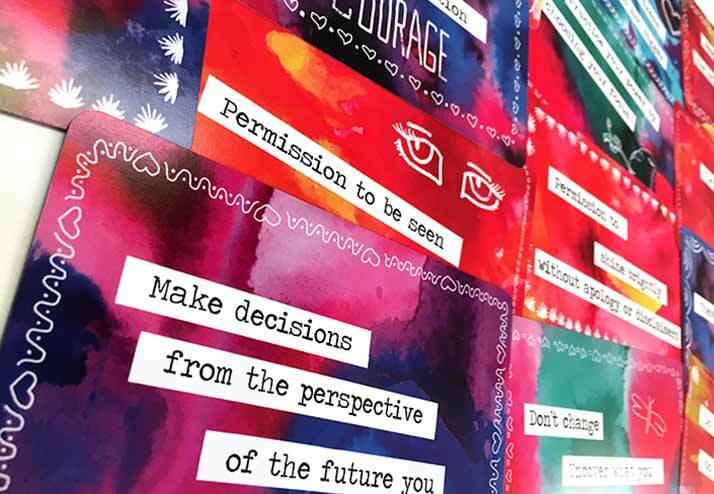 Ask people to choose a card and see what perfect message they receive. 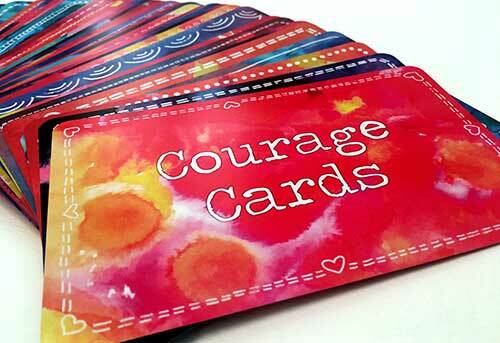 Or you can choose daily from your deck to set a courageous tone for the day or help you feel more courage anytime you need it. "Thank you for the card you sent me. It was such perfect timing. At that moment - I was feeling very low and it was definitely inspiring." I really connected with my card and use it daily to remind me of the message . I keep it at my desk to keep me on track throughout the day. It gave me the focus to manifest a new car. "Maritza Parra, damn woman, these cards read souls." "Maritza invited me to choose a card. I cried after reading the card, I could not have chosen a more perfect card. This is going on my mirror. Thank you, Maritza"
The ability to do something that frightens you OR strength in the face of pain or grief. Helping someone else feel more courageous. Choosing to feel and spread more courage daily.